Swimming Gold Medal for Lilly. Well done Lilly in 8SK. 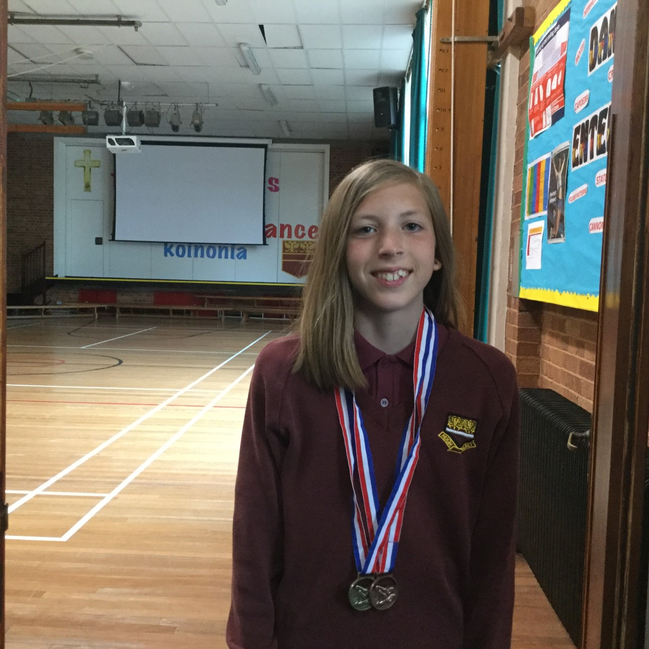 Lilly got a gold medal in the 50m breaststroke and a bronze medal in the individual medley at the Taunton Deane Swim meet at Millfield. Lilly has been working very hard this year and should be delighted with her achievements.